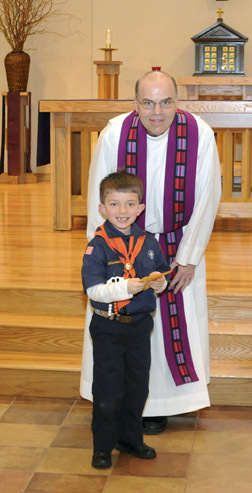 Father Nicholas Dudo presents an award to a cub scout during the Scout Sunday Mass March 4 at Assumption Church in Galloway. 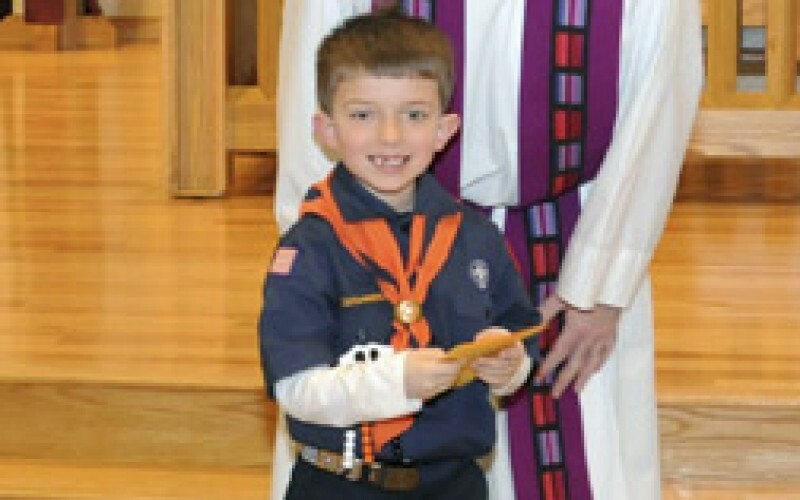 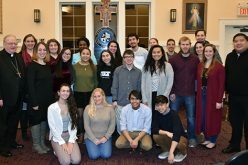 The Camden Diocesan-wide Scout Sunday Mass for Boy and Girl Scouts was celebrated March 4 at Assumption Church, Galloway. 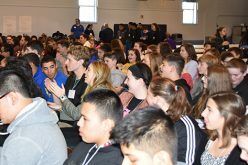 Concelebrating the Mass were Father Paul D. Harte and Father Nicholas Dudo.